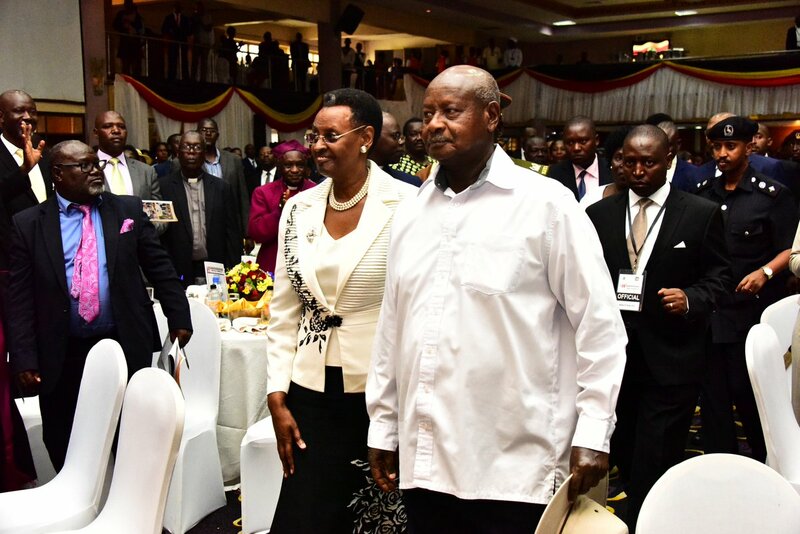 KAMPALA – President Yoweri Museveni has urged Members of Parliament and other leaders to be trustworthy with the small responsibilities they have, for only then, will they be entrusted with bigger tasks. The President, while speaking at the 20th National Prayer Breakfast Monday morning October 8 at Hotel Africana reminded the legislators and other delegates that what each one of them sows is what they will reap. He went on to inform the MPs that God put him in the leadership position because he fulfilled the small tasks he was entrusted with decades ago, during the liberation war. The breakfast was held under the theme: “All hard work brings a profit, but mere talk leads only to poverty” taken from the book of Proverbs 14:23. The prayers hosted by the Speaker of Parliament, Rebecca Kadaga and organized by MPs, attended by leaders from all branches of government, business communities, diplomatic corps, and civil society among others were aimed at praying for the country as well as inspiring leaders to a renewed faith in God. The Uganda national prayer breakfast has been held in Uganda since 1991. This event takes place every October 8, a day on which the constitution of Uganda was promulgated.